Cyclone Debbie, which ravaged the coast of Queensland, Australia, is fortunately now a thing of the past. But residents are finding unexpected visitors stranded in odd places. Like this bull shark which was discovered washed up on a road in the town of Ayr. Yikes. 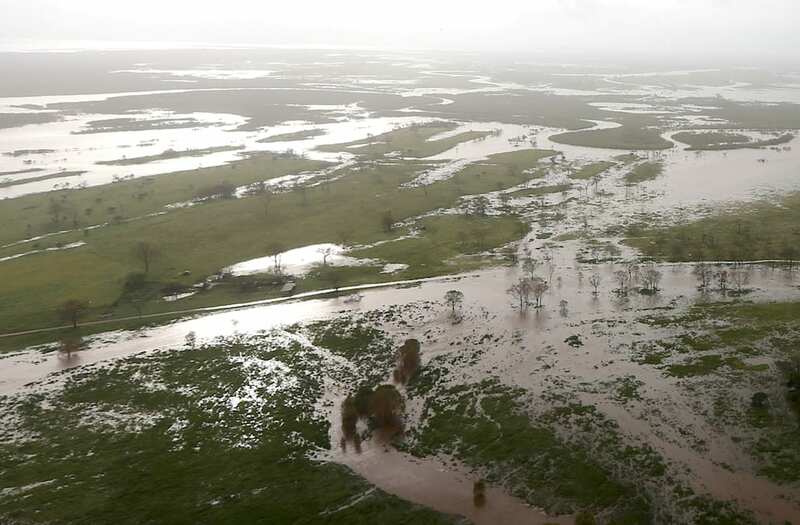 The picture was posted by the Queensland Fire and Emergency service on its Twitter account Thursday, as part of a warning to residents about the dangers of going into floodwaters. "Think it's safe to go back in the water? Think again!" the tweet reads. Good advice, we think, because it's not the first time this has happened. In 2011, floods in the Brisbane, Queensland suburb of Goodna brought two sharks swimming inland. Not that people seem to be listening anyway, as per this video found by Business Insider. Warning, the below video contains coarse language.